The Pine Island Glacier is one of the major ice streams draining the Antarctic ice sheet. 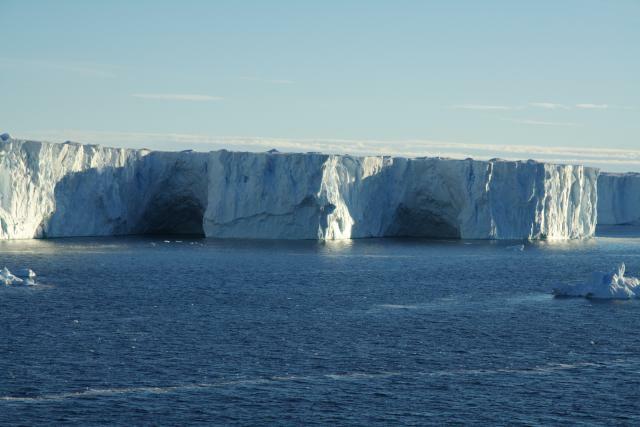 It also shows currently the highest thinning rates among the large Antarctic glaciers. The images shows the edge of the ice shelf, the floating part of the glacier. The present grounding line is about 80 km inland. The visible caves are likely created by meltwater streaming out from underneath the ice shelf.